This is the true story of an affair and an incident that began during the turbulent sixties. Rene Gallimard was a married low-level French diplomat stationed in China who fell in love with Song Liling, an enigmatic Beijing opera singer. His two decades old affair of the heart was blind to the political intrigues and the vagaries of espionage that surrounded his desires. China was a changing political hotbed filled with foreign devils wanting fantasy women. Gallimard’s fantasy woman was just that, a fantasy. He believed her to be a woman when she was in fact a man. 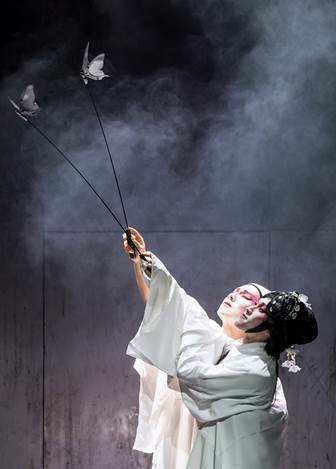 M. Butterfly is a powerful play with theatrical provenance. The original production premiered on Broadway in 1988, ran for almost 800 performances, and won the Tony Award for Best Play. 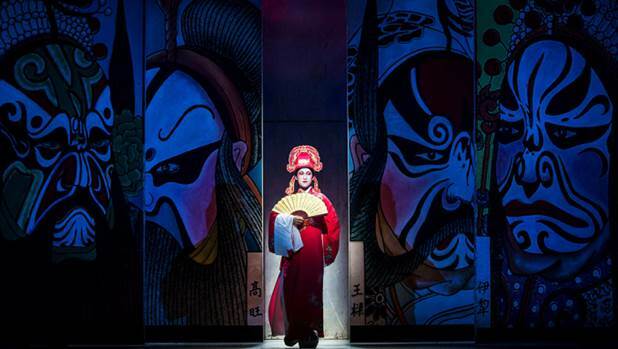 The venerable Puccini opera Madam Butterfly plays a role here as well. It’s arias and music frames a great deal of the drama. However, it’s the cinematic quality of this production that truly sets it apart. 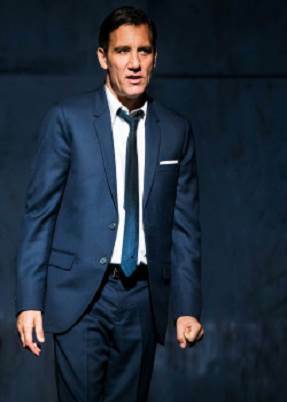 Clive Owen’s performance as Rene Gallimard is reminiscent of classic Hollywood actors like Clark Gable and Robert Mitchum but with a hollow core at his emotional center. In turn Jin Ha as Song Liling carries his, and herself, with the glamour and mystery of legendary ladies of the Chinese Cinema like Ruan Lingyu and Brigitte Lin but with the added cold steel of a film noir Barbara Stanwyck. The rest of the ensemble also provides solid performances while at the same time carrying out multiple roles. M. Butterfly shows no signs of aging. 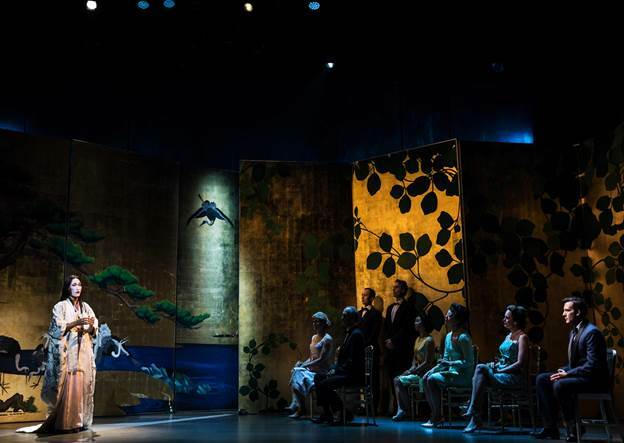 Playwright David Henry Hwang has made some changes to his masterwork but they only serve to amplify the already clear themes of the original, and to clarify some of the facts of the actual events. Arguments can, will, and have been made as to the necessity, both good and bad, of those changes. Just like his first incarnation, time will tell. As for the obvious, one would think that the gender bending twist of M. Butterfly would have lost some of its impact some thirty years later. The opposite proves to be true. In this day and age gender identification is front and center in our national mind set. 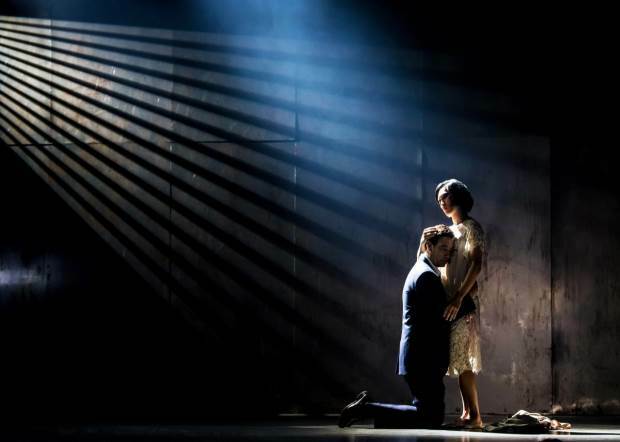 Though it may be the focus of a great deal of the current body politic, in the new M. Butterfly the issue tugs at the heart strings and serves more of an emotional punch than a shocking blow to the mind. Perhaps the well-deserved attention this revamped production inspires will help to broaden the scope of our collective psyche.